Xherdan Shaqiri has joined Liverpool in a £13.5 million deal, after three years in the Premier League with Stoke City that included 84 appearances and a total of 30 goals and assists after spells with Inter Milan, Bayern Munich and FC Basel. Speaking to reporters at Melwood, he said: As a player you always want to be on the biggest stage in football. A few years ago I wanted to come too but it didn’t happen. I’m really happy that now I’m finally here. I want to improve myself too, I want to be with the best and I want to win titles. That’s what I’m here for." Klopp has admired the attacker’s versatility, skillset and personality for some time and feels the opportunity to recruit the 26-year-old came at the perfect moment for both parties. “I think the English phrase to explain the decision to sign Xherdan is a ‘no-brainer’. When someone like him becomes available in this way you have to react if you are smart – and we have,” the manager told Liverpoolfc.com. “He has speed and ability, has the right amount of arrogance on the football pitch, real bravery to want the ball and influence things. To play for us these are mandatory requirements. “We are the perfect move for him in this moment as well I think, because he needs to push himself and challenge himself and our environment encourages that. We will want him to express himself but also learn and improve the areas of his game where he can still make progression. “From our perspective, he is someone who makes a big difference to the squad and team, because he can fit in so many positions in our system. He gives us greater flexibility in how we can use our current players also. This is cool. “I know him well from his time in Switzerland and especially Germany – I have been a long-time admirer. But the added bonus now is that he knows the Premier League", said Klopp "and what it takes to perform in this uniquely intense environment. He also did really well at the World Cup – so he comes to us full of belief and confidence. 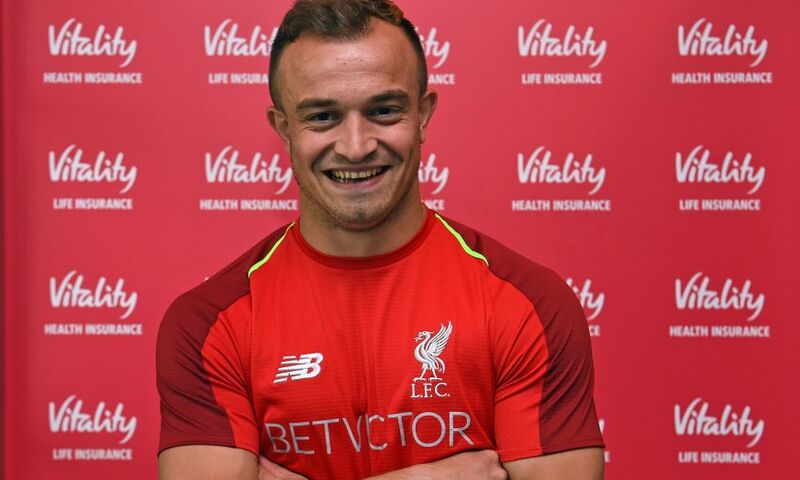 “Finally, Xherdan the person will fit in perfectly at Liverpool I believe. He has personality and drive – he is someone who will feed off the positive emotion of our crowd.